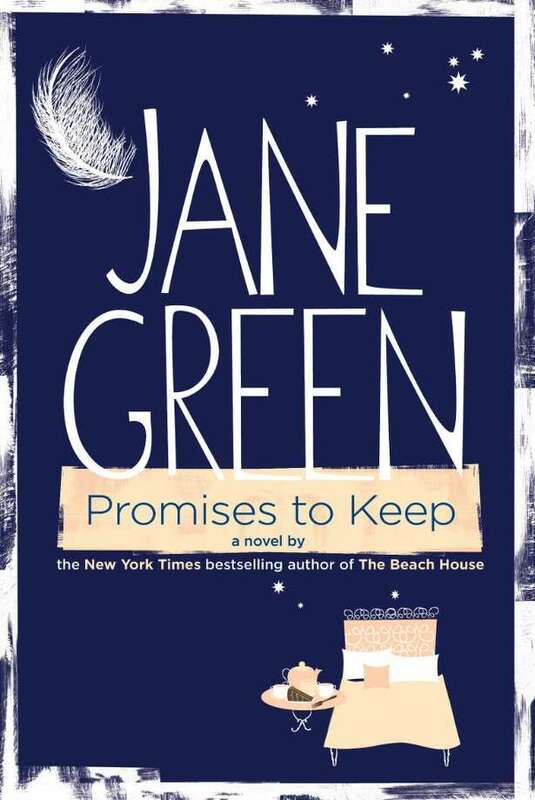 Westport author Jane Green's latest novel, Promises to Keep, discusses the sustainability of platonic friendships, especially in the throes of dealing with a fatal illness. A New York Times bestselling author, and reigning queen of "chick lit," Westport's own Jane Green is best known for writing about the intimate complexities inherently found in all relationships. Although she is especially adept at unveiling nuances between romantic encounters, in her latest novel, Promises to Keep, Green poignantly discusses the sustainability of platonic friendships, especially in the throes of dealing with a fatal illness. Green will host a book release party and launch a national book tour this week at the Westport Country Playhouse. She is sponsoring a fundraiser to benefit the Whittingham Cancer Care Center at Norwalk Hospital on Tuesday, June 15, from 11 a.m. to 1 p.m. Green will speak about Promises to Keep and sign autographed copies of the book. Light luncheon fare will be provided. Raffle items include season tickets to the Westport Country Playhouse, private yoga sessions, dinner for four and a cooking lesson from Nicole Straight of Time to Eat, and tickets to the Martha Stewart Show in New York City. Green admitted that although Promises to Keep is written in honor of her close friend Heidi Armitage, who was diagnosed with a rare form of breast cancer and perished last fall at the age of 43, the actual plot and characters from Promises to Keep do not resemble Heidi or her family. "This is not Heidi's personal story," Green emphasized. "However, she is undoubtedly the inspiration. There were a handful of us who were there everyday for her. It was an absolute gift for me to be part of her life." Through their close friendship, which obviously withstood some terribly tragic times, Green said that she "learned so much." And, in keeping with these strong ties of love and compassion for her beloved, courageous friend, Green couldn't help but put the pen to paper and start to craft what turned out to be her twelfth novel. In thinking about marketing Promises to Keep, Green decided to forego the usual book tour circuit and instead sponsor fundraisers to support local cancer hospitals at some of the book talks and signings. Special events, such as the benefit at the Westport Country Playhouse for the Whittingham Cancer Care Center, is a way that Green could use her platform as a bestselling author to raise awareness and funding for this important cause and, of course, remember her friend. Green pointed out that she holds a special place in her heart for the Whittingham Cancer Care Center at Norwalk Hospital because that was where Heidi received treatment. Linda Versea, administrative manager of Norwalk Hospital's Cancer Services, said that the facility greatly appreciates Green's efforts. "These donations will continue to fund our programs, which offer patients and their family members an array of services, such as clinical research trials, integrative medicine, education, genetic counseling, nursing and psychological support," Versea said. Green started Promises to Keep in the middle of Heidi's illness but wrote the bulk of it after she died on Sept. 30, 2009. "Usually I would tell another writer to take some time after going through such an emotional ordeal and wait until some of the emotions were less raw," Green said. "But, I just couldn't." She felt compelled to write while the feelings were still fresh. "I felt like I had an angel sitting on my shoulder and there were many times during the writing that I had tears streaming down my face," Green added. However, although Promises to Keep is about someone diagnosed with cancer, Green insists that it's not a heavy read. "It's really all about love," Green said. "There was so much laughter and levity and fun in the time we spent with Heidi. I think that as you read this book, you will laugh on one page and cry on the next. Promises to Keep is really about the importance of family and friends and what it means to love." One of the lessons Green gleaned about friendship and love, for example, is that people need to "just step up and do what is needed without waiting to be asked." She noted that often well-meaning friends and family members may say to someone undergoing a traumatic, life changing event, "Call me if you need anything." "Love requires that you just step up and do it, though," Green said. "I firmly believe that `love' is a verb. Love requires an act of doing." Admittedly her most personal book to date, Green is proud of the strength of the characters in Promises to Keep. Green said, "Heidi didn't just live life. She sparkled. But she couldn't survive the cancer that swept through her body like a wildfire over seven months. One day, leaving a chemotherapy session, she said to me, `I hope you're going to write about this.' And so I did." Like many of her past novels, Green composed her manuscript at the Westport Library. She likes the quiet atmosphere, away from distractions found at her home office, such as the telephone. "All writers need a routine," she explained. "It makes me feel like I have a `job' when I go out to the library to do my writing. It's a solitary profession, so it's like I'm part of the real world when I am there." A native of London, Green lives in Westport with her husband, Ian Warburg, and their blended family of six children and several animals. Tickets for the upcoming benefit at the Westport Country Playhouse are $35. For more information about the fundraiser and Promises to Keep, go to janegreen.com.